What do you think about that girl from manga who has the same energy like Zeref?Who is she?Its so much opinions but one of the best I think that girl is Lucy. Jellal knows her.At least it seems so because jellal do that face that he knows her. 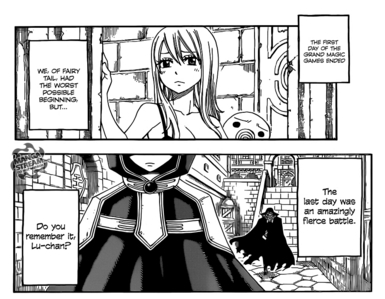 She is somewhat related to Zeref.And of course eclipse project is related with Zeref and lucy is one of the key piont in this plan. She is right-handed.When she use left hand her her writing was awful. She cant use her right arm for some reason.On that arm Lucy has FT mark.Or Hiro Mashima dont want to see us that she is lucy or there is something else on her arm. 7/7/x791 something awful will happen concerning with Lucy in Carlas vision. Concerning with Lucy Future Levy is writing her a letter. So thats all that I wanted to say.What is your opinion? The princess is so pretty. She seemed quite sad when she put FT in hell palace, no ? I wonder why ? I think shes Lucy from the future. I wonder how she time traveled though. The most common theory everywhere is Lucy. Personally I would love to see it be Layla, since travelling back in time will involve dragons, she supposedly died on the same day they "disappeared". A happy reunion for Lucy, too bad Jude died. Then again, I'm all for Porlyusica finding the fountain of youth and travelling back in time. Nah, just kidding, but that said, the mysterious girl could even be a completely new character. Zeref's long lost love; a new wizard saint (foreigner); a God; Zeref's mother come to tell him that he has been a bad boy. Mashima could write anything he wants for a new character and create connections with existing characters. I mean, how long was Jellal in prison for and what did he get up to other than getting rid of dark guilds once he got out? But you know,when I saw that someone cried when Natsu is fighting,I thought it was Zeref himself....Stupid me! What if "she" is an androgynous guy? Jellal guessed a woman by looking at the ankles, we never got to see "her" face. 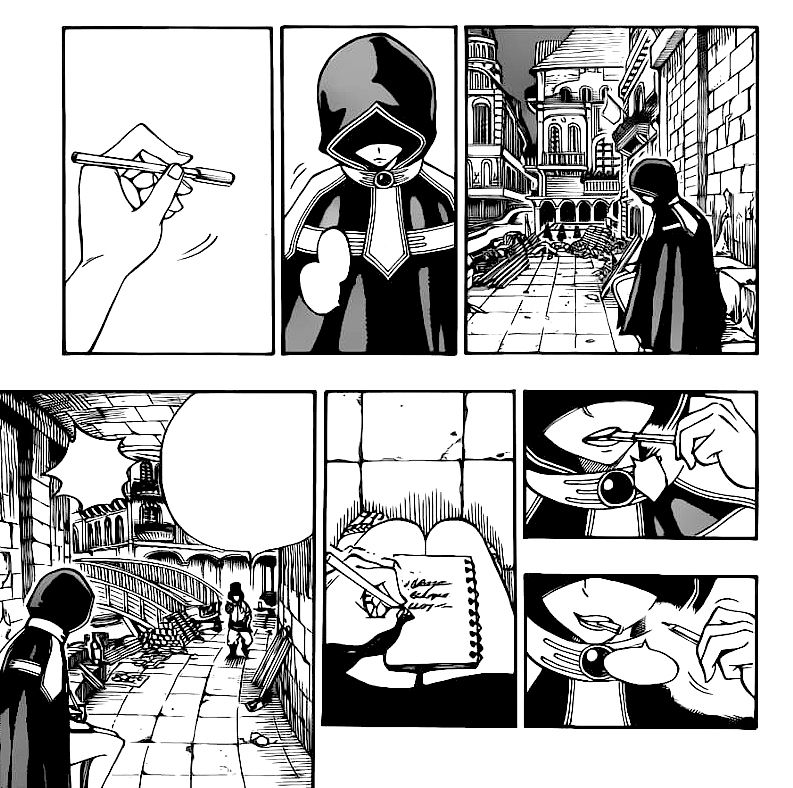 (Need a picture of Zeref's ankles to compare). For those who don't know, androgynous is a person with features of the opposite gender. If its a male I will be fail. And of course trollmashima can do that. Hi! 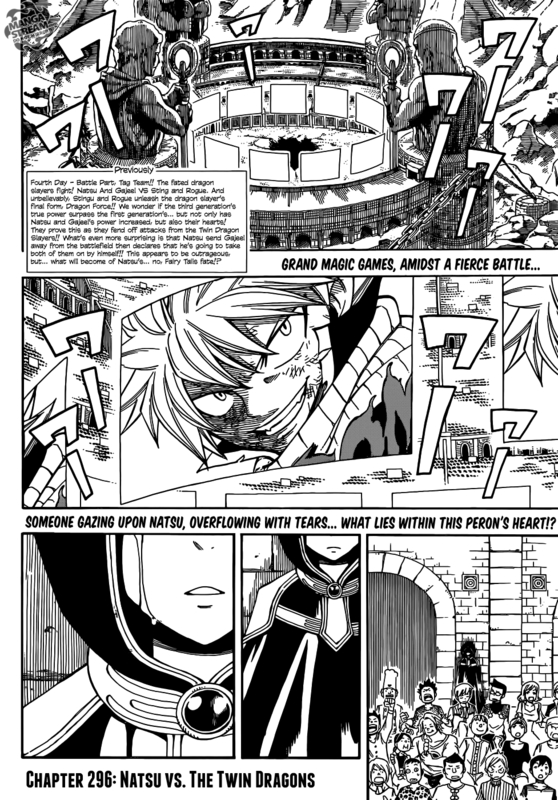 I again.In internet I write Fairy tail chapter 300 and found this.